Matthias Schweighöfer sometimes performs in one of the few quiet moments of his everyday life as an actor, producer and singer, looking at how his Gringo life has developed since his small role in the 1997 Andreas Dresen film “Out of the Skin”. 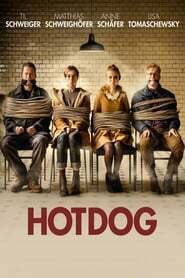 On Tuesday, the 36-year-old was on the road to make his latest movie “Hot Dog” known. It starts in the cinemas on 18 January and celebrated its premiere on Flavors of Youth Tuesday night at the Cinestar in the Sony Center.